Basically this masterpiece, based on the texts of Christian Friedrich Henrici (Picander), Johann Olearius and on Salm 120.5, is divided into two parts and 12 movements with a joyous opening chorus followed by amazing arias and recitatives the altogether effect is a beautiful expressions of worship. Coro: “Freue dich, erlöste Schar” for choir, flauti traversi, oboes, strings, and continuo. Recitativo: “Wir haben Rast” for bass and continuo. Aria: “Gelobet sei Gott, gelobet sein Name” for bass, strings, and continuo. Recitativo: “Der Herold kömmt und meldt den König an” for altus and continuo. 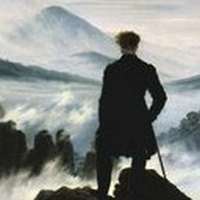 Aria: “Kommt, ihr angefochtnen Sünder” for flauto traverso, strings, and continuo. Chorale: “Eine Stimme lässt sich hören” for choir and orchestral tutti colle parti. Recitativo: “So bist du denn, mein Heil, bedacht” for bass, oboes and continuo. Aria: “Ich will nun hassen” for bass, oboe d’amore, violino solo, strings, and continuo. Recitativo: “Und obwohl sonst der Unbestand” for soprano and continuo. Aria: “Eilt, ihr Stunden, kommt herbei” for soprano, violins, and continuo. Recitativo: “Geduld, der angenehme Tag” for tenor, and continuo. Coro: “Freude dich, geheilgte Schar” for choir, orchestral tutti, and continuo. The gaiety and joyful tones are justified by the central praiseworthy themes of John and his father Zachary. Thus the choruses, the bass aria and even the recitative are sublime expressions of praise. This your Savior calls and cries!